The U.S. Marine Corps uses a Military Occupational Specialty system to assign codes to various roles and jobs held by service members. These codes are identified by the designation "MOS" and a series of four numbers. MOS 0627 is given to the position of Satellite Communications Operator, also called Satellite Comm Ops. It's part of the Communications Battalion. This is a primary MOS (PMOS) reserved for enlisted Marines, limited duty officers, chief warrant officers, and warrant officers. Changes to an Active Component Marine's PMOs are subject to approval from the commandant of the Marine Corps (CMC) (Merchant Marines). Changes to a Reserve Component Marine's PMOS require approval from Central Command (Recruiter Assistance). The rank range for this position is sergeant through private. The SHF satellite communications operator/maintainer PMOS identifies Marines who interconnect, energize, and verify the operation of SHF satellite terminal equipment. These Marines install, maintain, and operate their units' satellite communications platforms. They manage and contain both unclassified and classified information and data as well as teleconferencing in various environments, including within the garrison and tactical situations. These are the Marines who help provide the ability for service members stationed overseas to communicate via email with family stateside, from "bird" to "distant end." The "bird" is the satellite that enables this capability, and the "distant end" represents the communication's destination source. MOS 0627 Marines also facilitate all-important communications between platoons and between commanders and troops. They are effectively the electronic voice of the Marine Corps. NAVMC Directive 3500.106, the "Communications Training and Readiness Manual," offers a complete listing of all duties and tasks associated with the MOS 0627 Satellite Communications Officer position. Because this is a PMOS, application requirements are high and exacting. 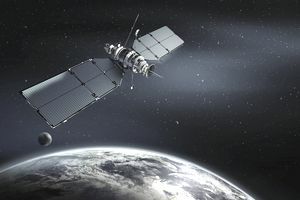 Potential Satellite Communications Operators must possess an EL score of at least 105, and higher is better. They must be U.S. citizens and be eligible for or already have a confidential, secret security clearance. Additionally, a valid state's driver's license is required.